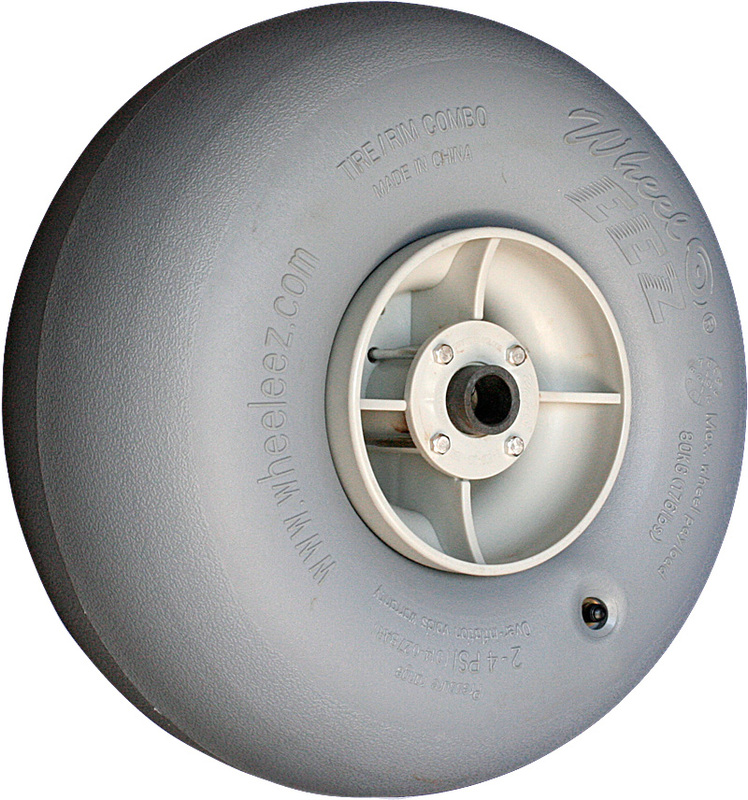 Low-Pressure Polyurethane Beach Wheels for more heavy duty, ambitious use. 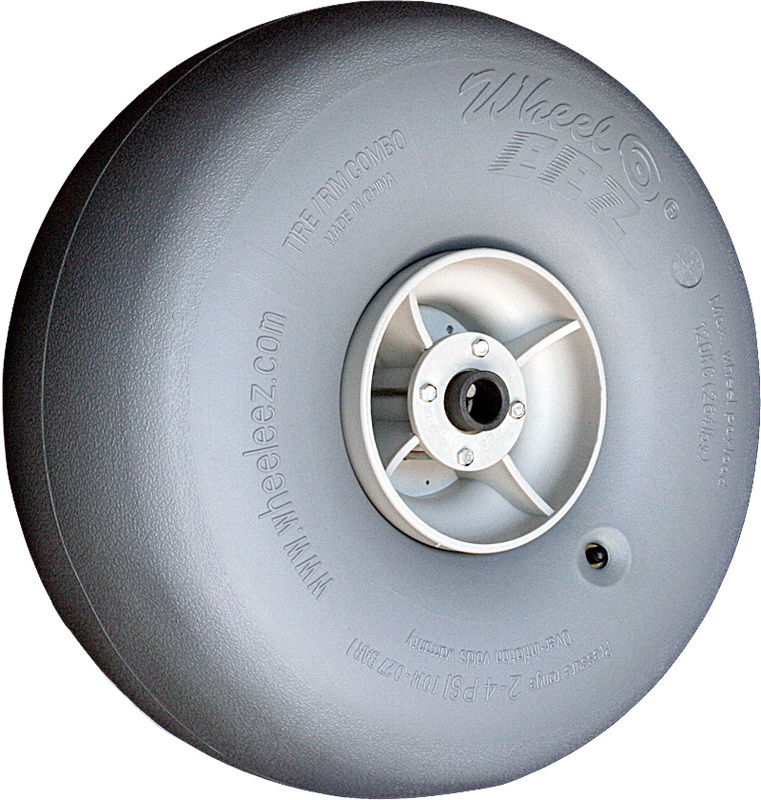 WheelEEZ® wheels are equipped with unique, pliable, pneumatic tires that will roll, even glide, over soft sand, turf and other challenging terrains. The tire’s low-pressure permits rolling heavy loads over unstable/uneven ground with ease. These balloon wheels will not sink or plow into soft ground. They are great for use on delicate surfaces preventing indentations, as well as providing shock-absorbing qualities. These low-pressure balloon wheels inflate to only 0.17 bar, which means they’re soft. So soft they glide over sand, flattening it along the way. Normal wheels dig ditches, and that’s hard work. * With tire pressure 2.5 psi at sea level and at a temp range of 75-80° F (24-26.5° C). Wheel dimensions may vary temporarily by up to +/- 1″ (2.5 cm) in diameter and/or width, depending on temperature and elevation. If you need to replace “Roleez ” wheels, you will find that WheelEEZ® low-pressure balloon wheels will work perfectly. Just make sure the bearing or bushing size matches. 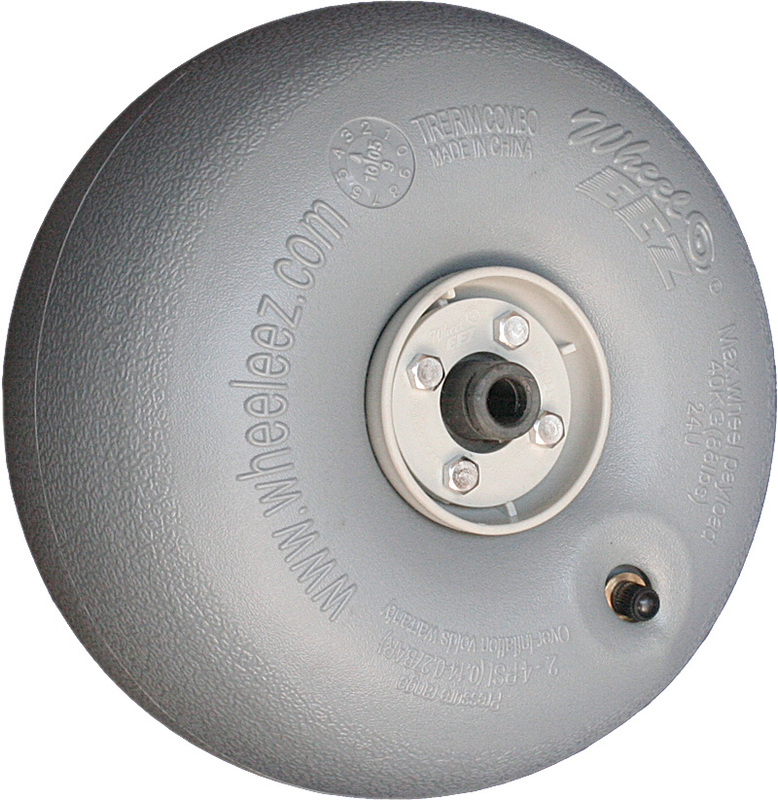 If you need to replace “Roleez ” wheels, you will find that Wheeleez low-pressure balloon wheels will work perfectly. Just make sure the bearing or bushing size matches.